On April 9, 1968, Dr. Martin Luther King Jr. preached a message that was strikingly applicable to the lives of modern day civil rights leaders and leaders of America’s future. In the pulpit of the Ebenezer Baptist Church in Atlanta only five days before he was assassinated, Dr. King meticulously outlined the anatomy of what he called, the “drum major instinct”. Dr. King then described how some in leadership positions mistakenly think that they should be sat on high, receive expensive houses, cars, and receive exclusive access simply because of their positions. But, now, just as Dr. King pointed out then, the anatomy of the drum major – the leader that sets the tempo for justice and equality in America – must be the soul that is willing to humbly serve. Â As then, the drum major instinct has been perverted and must now be corrected in order for us to reach our righteous goals. In other words, as we look at the current state of equality and justice in America, we must refresh our hearts and minds, as Dr. King said, with “a new definition of greatness”. What he was saying is that it is not wrong to desire to be important, to want quality things and access. But those things are not equivalent to greatness. Greatness must be earned, he said. And that new definition is simple – service. As much work as has been done and as much progress as has been made, there is much work needed as racial disparities in this nation are still horrendous. In a nutshell: Â African-Americans are incarcerated at nearly six times the rate of Whites, according to the NAACP. Yet, the NAACP also reports that five times as many Whites are using drugs as African-Americans, but African-Americans are sent to prison for drug offenses at 10 times the rate of Whites. Economically, according to the U. S. Census Bureau, approximately 30 percent of Blacks are living in poverty. And the racial breakdown of that statistic is riveting. The National Urban League reports that the total 2013 Equality Index of Black America stands at 71.7 percent. This means that on average, African-Americans enjoy less than three-fourths of the benefits and privileges offered to White Americans. Educationally, the NUL reports that African-Americans have closed the college enrollment gap at five times the rate of closing the unemployment rate gap. Still the racial disparities of deep. The National Center for Education Statistics reports that though college attendance is steadily rising for people of color, it is only around 14 percent for Blacks, 13 percent for Latinos and 61 percent for Whites. This brief description of the state of equality and justice in America tells us that an astronomically higher level of service is needed – one that must replace any mindset of being recognized and awarded for every move. These statistics denote that people from the grassroots to Congress to the White House; people from the churches to the streets to the prisons; people from the educational institutions to the businesses to the civil rights organizations; people in every corner of our society much rise up and take leadership by placing their hands to the plows where they are. Without looking around to see who is looking, without seeking name recognition and reward – at every age and in every season – we must not shrink from the courage to say and to do that which is right. This year is not only the 50th anniversary of the March on Washington for Jobs and Freedom; but it is the 50th anniversary of those four little girls killed on September 15, 1963 in the bombing at the 16th Street Baptist Church in Birmingham, Alabama. In Dr. King’s sermon at their funeral, he spoke of how they had not died in vain for even in their innocence their deaths sent multiple messages. Among those messages that they preached from the grave was the fact that they died nobly and they did not die in vain because “unmerited suffering is redemptive.” Yes, the deaths of those children, and even too many of our children today who have died by senseless violence and even at the hands of terrorists, have taught us that we must indeed temper courage with caution. But, in modern day America, we too often find ourselves – not cautious, but afraid. Instead of challenging the systems that oppress; instead of crying out in non-violent protest where it is warranted; instead of acting upon the courage of our convictions, we far too often live in fear of what we might lose or what we personally might not attain. But, the drum major instinct is one that is impeded by fear because it requires both vision and mobility. In order to attain an acceptableÂ status of equality and justice in America, the drum majors of our communities must keep moving. That means, those of us who have been given much are required to give much. We must mentor the young, we must teach truth, we must take action where it is warranted, and by all means one of those actions must be to venture to the polls at every opportunity and vote. Â The Rev. 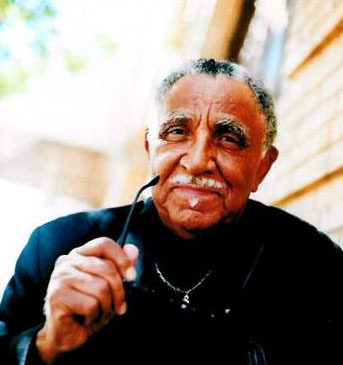 Joseph Lowery was a co-founder of the Southern Christian Leadership Conference alongside Dr. Martin Luther King Jr. Presented with the Presidential Medal of Freedom, the nation’s highest civilian honor, by President Barack Obama in 2009, he continues to serve through numerous forums, including as advisor to the Georgia Coalition for the People’s Agenda. Â Editorâ€™s Note: This article – theÂ seventeenth of a 20-part series – is written in commemoration of the 50th Anniversary of the Lawyers’ Committee for Civil Rights Under Law. The Lawyers’ Committee is a nonpartisan, nonprofit organization, formed in 1963 at the request of President John F. Kennedy to enlist the private bar’s leadership and resources in combating racial discrimination and the resulting inequality of opportunity – work that continues to be vital today. For more information, please visit www.lawyerscommittee.org.